The western astrology says that there are 12 Zodiac signs. Each of them are categorized with dates and specific months. The position of the sun and hence are the one that create the zodiac signs, also called the sun signs. This signs can help you gain a better insight of your daily activities and happenings, qualities, nature of relationship, mood, and more. You can search for your zodiac sign dates, and find yours, in the list below, so you can know some main ideas of your horoscope. Every zodiac sign has its own symbol, and each one mirrors a personality type. They are divided into four elements: earth, water, fire and air, with three qualities: cardinal, fixed and mutable. This is why you can find Zodiac signs compatibility . According to your date of birth, you will find your zodiac sign name. There are persons that believe in reincarnation, and transmigration of the soul, they claim that the zodiac represent the unending cosmic cycle, and your birth date signifies a movement to the next reincarnated person. The first sign of the zodiac is the Aries, also called the ram. The sign of the Aries, are the antlers of the ram. Persons with the date of birth between the dates of March 21st and April 19th, belong to this sign of zodiac. They are fire signs, and ruled by Mars planet. The sign that represent them is the baby sign. Taurus is the second sign of the zodiac, also called the bull. The symbol of this zodiacal sign is the face and the horns of the bull. Taurus is ruled by the Venus planet. 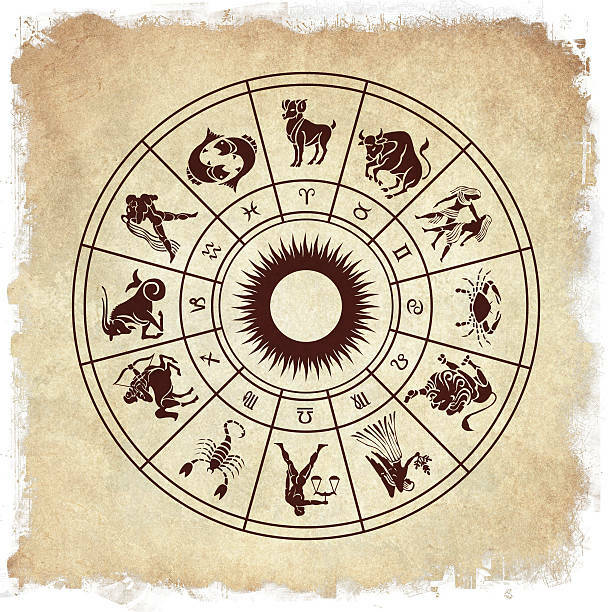 Persons with the date of birth between April 20th and May 20th belong to this sign of zodiac, and to the earth sign. Gemini, also called the twins are the third sign of the zodiac. The Gemini are in an air sign, ruled by the Mercury Planet. The symbol is depicted by twins. Persons with the date of birth between May 21st and June 20th belong to the Gemini Sign. The 4th of the zodiac signs are represented by the cancer, also called the crab. It's the first water sign, ruled by the moon. They are very sensitive. The symbol of the Cancer is the crab, shown upright with visible pincers. Those that have the birth of date between June 21st and July 22nd take part of this zodiacal sign. The Leo is the 5th sign of the zodiac, and it's ruled by the Sun and it's a fire sign. The symbol of the leo zodiac sign is the majestic lion. Persons that are born between the 23rd of July and August 22nd are part of this zodiac. The main characteristics are : sociable and hot tempered. The sign of Virgo is the 6th zodiac sign, and it's ruled by the Mercury Planet. If you are born between August 23rdand September 22nd you fall under this sign. The symbol is a virgin or a depiction of a woman. The main characteristic is perfectionist. The 7th sign is the Libra, also called the scales. The symbol is a scale. The Librans make part of the air sign. Persons born between September 23rd and October 22nd are part of this sign. The 8th sign of the Zodiac is the Scorpio, ruled by Pluto planet. It's a water sign, just like the Cancer. Persons born between October 23rd and November 21st fall in this zodiac sign. The 9th sign of the Zodiac is the Sagittarius, also called the Archer. The symbol is a bow with arrow. It's ruled by the Jupiter planet and it's a fire sign. Persons born between November 22nd and December 21st take part of this zodiacal sign. The 10th sign is the Capricorn, also called the sea goat. The symbol is a sea goat, and it's ruled by the Saturn planet. If you are born between December 22nd and January 19th, you fall in this zodiac sign. The 11th sign of the zodiac is the Aquarius, also called the water bearer. It's an air sign, and it's symbol is a woman bearing a pot. Along with the Pisces, it's the single zodiacal sign that are ruled by two planets, Saturn and Uranus. Persons born between January 20th and February 18th fall under this sign. The twelfth sign of the zodiac is the Pisces, also called the Fish, it's a water sign. The symbol of this zodiacal sign are two fishes. The Pisceans are ruled by two planets, as the Aquarius also is, Neptune and Jupiter. Persons between the dates of February 19th and March 20th take part of this zodiacal Sign.